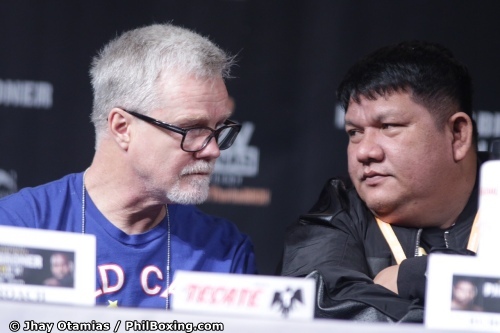 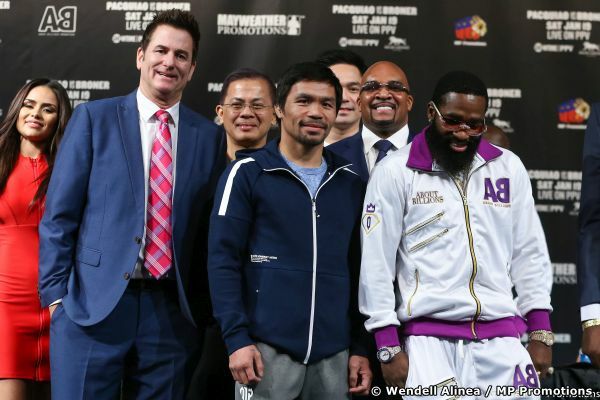 LAS VEGAS -- The final presser for the Manny Pacquiao vs Adrien Broner WBA world welterweight championship was held here Wednesday afternoon (Thursday morning) at the David Copperfield Theater at the sprawling MGM Grand Hotel & Casino. 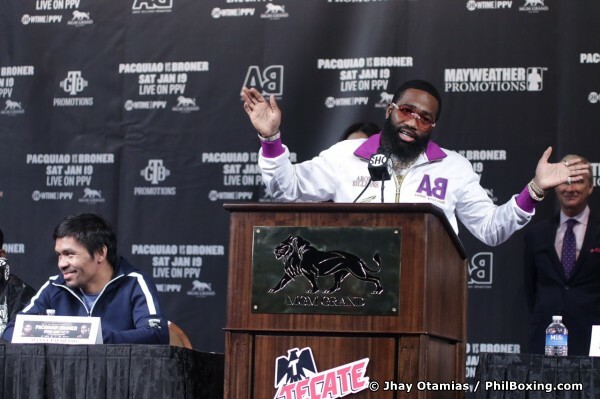 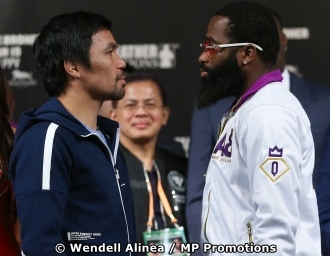 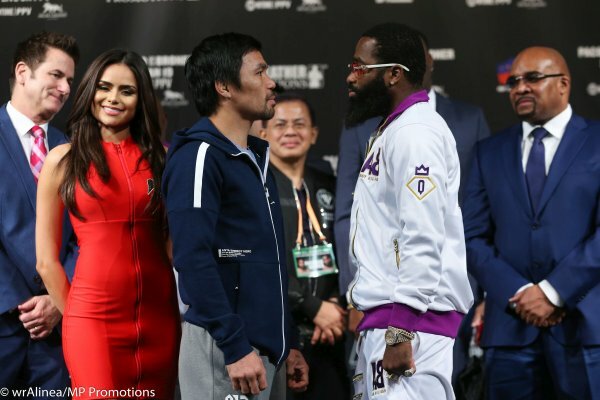 Eight division world champion Pacquiao and four-division world champion Broner will face each other Saturday night (Sunday in Manila) at the MGM Grand Garden Arena to an expected sellout crowd. 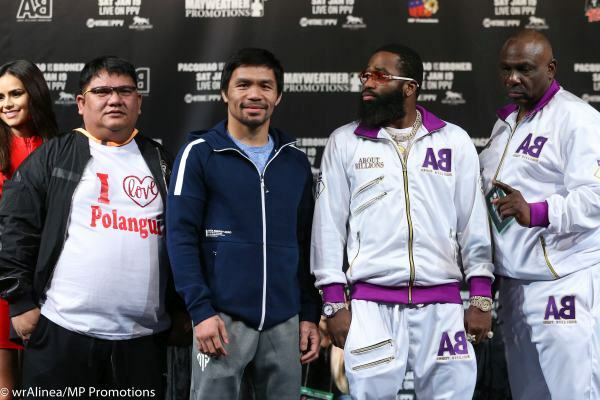 Photos by Wendell Alinea and Jhay Otamias.